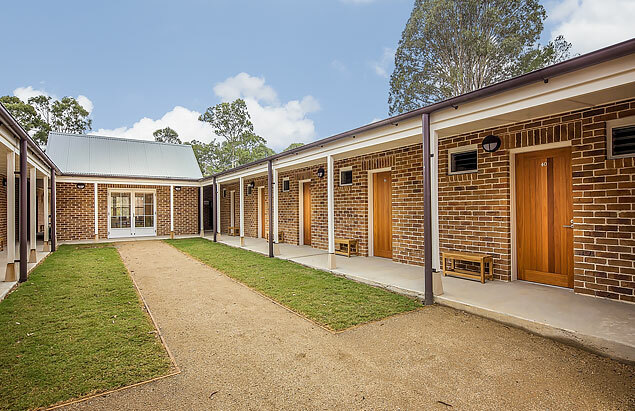 The Our Lady of the Southern Cross Rooms block is located at the Southern end of the property and can accommodate 74 people over two storeys. 4 x 2-bed rooms – each room contains 2 king single beds (not bunks), a desk with lamp and a lounge chair. 15 x 4-bed rooms– each room contains 2 long single bunk sets. 1 x 6-bed room– this room contains 3 single bunk sets. The Help of Christians Rooms block is located at the Northern end of the property and can accommodate 76 people over one storey with level access. 3 x 2-bed rooms – each room contains 2 king single beds (not bunks), a desk with lamp, lounge chair. 16 x 4-bed rooms – each room contains 2 long single bunk sets. 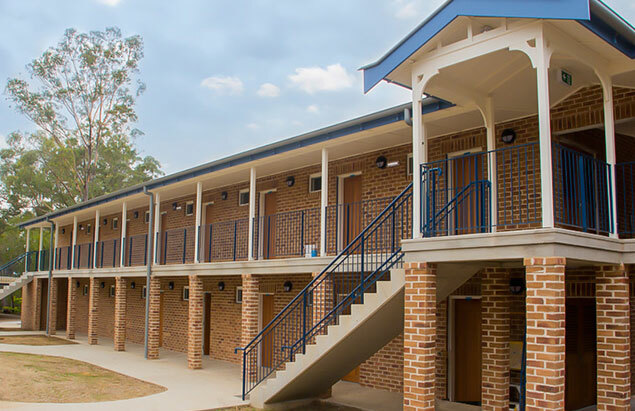 All ground level rooms in both accommodation blocks provide level access. There are 2 accessible rooms that comply with AS1428.1 – one in the Our Lady of the Southern Cross Rooms and one in the Help of Christians Rooms.